One of the most fascinating gatherings at Oxford during C.S. 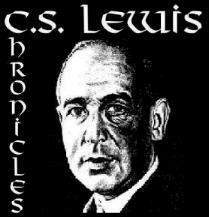 Lewis' years as a professor, was the Socratic Club, which brought together proponents and opponents of the Christian faith. It was founded in December of 1941 by Stella Aldwinckle as an "open forum for the discussion of the intellectual difficulties connected with religion and with Christianity in particular." Aldwinckle prevailed upon Lewis to serve as its first president. As the years passed, it grew to be one of the universities most popular societies, in no small part because of the vigorous debate and keen insight provided by its premier member. Although it declined following Lewis' move to Cambridge University in 1955, the Socratic Club continued to meet until 1972. In any fairly large and talkative community such as a university there is always the danger that those who think alike should gravitate together into coteries where they will henceforth encounter opposition only in the emasculated form rumour that the outsiders say thus and thus. The absent are easily refuted, complacent dogmatism thrives, and differences of opinion are embittered by group hostility. Each group hears not the best, but the worst, that the other groups can say. In the Socratic all this was changed. Here a man could get the case for Christianity without all the paraphernalia of pietism and the case against it without the irrelevant sansculottisme of our common anti-God weeklies. At the very least we helped to civilize one another. Jack Lewis recognized that truth has nothing to fear from free and spirited debate. On the contrary, if faith and doubt are openly and honestly examined, the former will most often prevail. Certainly, in the final account, Truth will triumph... and the Socratic dialogue which occurs today may perhaps help to hasten that ultimate victory.